The Gender Studies & Feminism Club, led by its president Alex Lopez-Velasco '17, participated in a Girl Up meeting at Dominican Academy, where they had an open discussion about issues of equity with respect to the rights of women and the LGBT community. This was the second joint meeting of the clubs. Participants from both schools have found great value in their new connection, and they look forward to finding more opportunities to work together in the future. The Gender Studies & Feminism Club meets every Wednesday in the Upper Library at 7:45 a.m. and is open to all faculty and students. 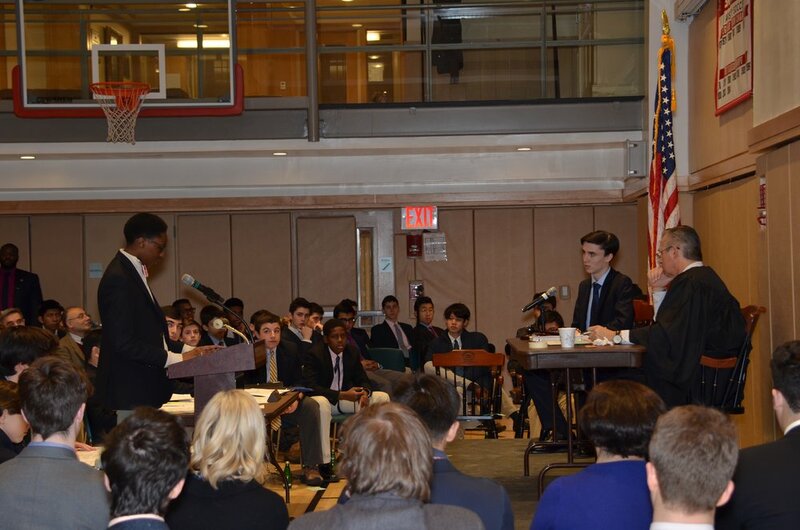 The Kurani Gym was transformed into a courtroom as the Mock Trial Club presented an assembly for the Upper School in which they acted out a civil case related to a wrongful arrest. The trial was presided over by a class parent, Judge Ed Hartzog, who was extremely impressed by the hard work and talents demonstrated by the team. He offered invaluable advice following the trial. The assembly was an opportunity for the boys to learn and grow in preparation for their competitions in March. 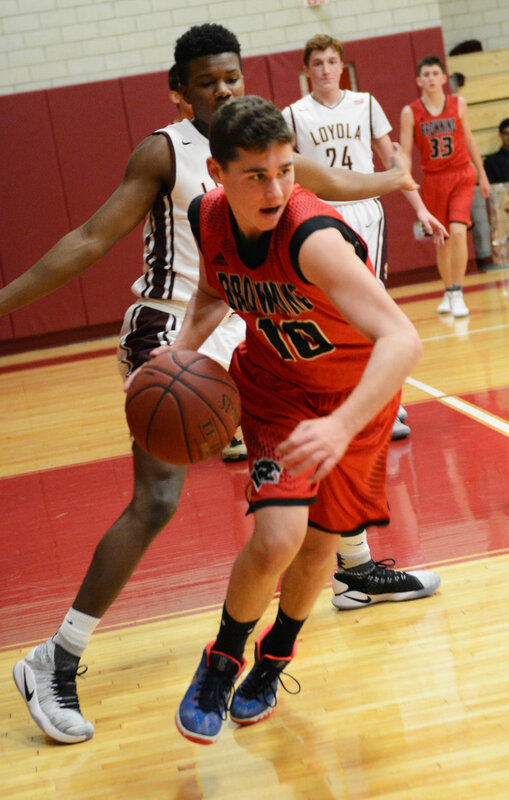 The varsity basketball team defeated Loyola 57-55 to earn a playoff bid on February 7. Down 29-38 at the break, the Panthers played incredible second half defense and made timely baskets on their way to a 57-55 win. Coach Ragsdale reported, "What a game!" On February 8 the fourth graders visited the New York Historical Society to inform their study of the American Revolution. They viewed works of art depicting important scenes from the time period, held and discussed artifacts that soldiers and colonists might have used, and worked in small groups to come up with questions for their group leader. The second week of the February Lower School Read-A-Thon fundraiser to benefit Room To Read saw classmate "buddies" read to each other as well as receive faculty guest readers in the classroom!